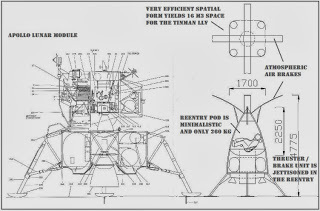 Comparison with APOLLO lunar landing module. 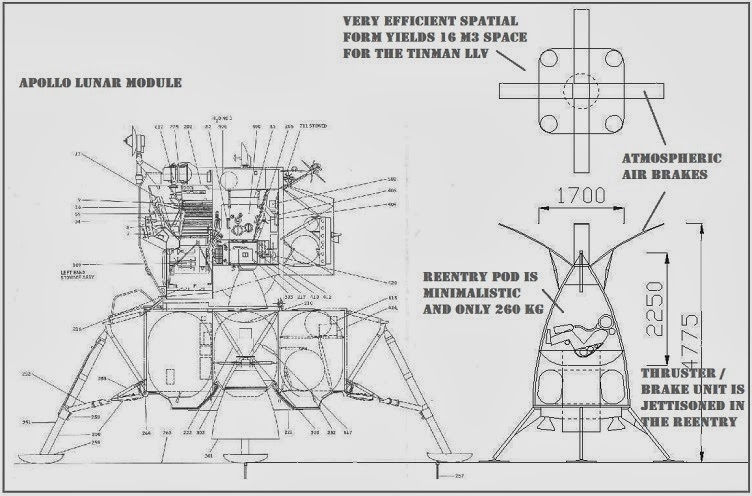 The TINMAN lunar module of the STAR EAGLE space rocket is just 1/53th of the APOLLO payload with lunar and command module. The solar powered craft with boosted some accu power just couldn't lift a 3 000 000 kg craft to space...but a 5000 kg craft easily to 25 km altitude...and with rocket power higher to 120 km. Do you get it now ? APOLLO used 95 % of its mass by the altitude of 125 km..thus SOLAR EAGLE carries just the 3rd stage with a very lite Lunar/Reentry Module.